For your convenience, a 20% service charge in lieu of gratuity, based on PRE-DISCOUNTED kama'aina rates for all Hawaii residents and PRE-DISCOUNTED retail rates for all others, including Groupon/Living Social and Spa Finder, will be automatically applied to your final bill for spa services totaling $50 or more. Your provider will receive 100% of the service charge. Gratuity for exemplary service is discretionary. Prices and services are subject to change without notice. Knutek products with Immediate Visual Results! No injections, no incisions, no surgery, no bruises, no anaesthesia, no pain. Reduces centimetres of fat, Improves cellulite and skin appearance. 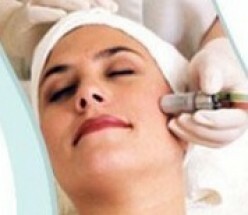 Ultrasonic Cavitation is used to break down your fat cells releasing the fat content inside. Ultrasonic cavitation technology enables concentrated sonic energy to be directed only at localised treatment areas, and is thus capable of selectively disrupting the subcutaneous fat cells through thousands of microscopic implosions impacting the fat cell membranes. After breakdown of adipose tissue (fat cell membrane), the fat is released into the interstitial fluid between the cells, where they are enzymatically metabolised to glycerol and free fatty acids. Water-soluble glycerol travels into the circulatory system used for new energy generation whereas the insoluble free fatty acids enter the liver where they are decomposed like any other simple fatty acid. The process of eliminating the contents is maximised by using Tripolar Radio Frequency. Tripolar RF assists in the Metabolism of Large Fat Granules previously ruptured by cavitation. producing new collagen fibres leaving a long term effect. Most of the RF energy enters into the deeper dermal layer, causing the dermal layer of skin to thicken, decreasing wrinkle depth, leaving the skin firmer with contour lifted. The original collagen protein becomes strengthened to increase the new collagen protein as a result of the radio frequency stimulating the skin. It is important to drink plenty of water before and after the treatment, and exercise or a brisk walk daily for at least three days after the treatment is recommended as elimination of the fat continues through the lymphatic System for 72hrs. area being treated. It is completely safe and painless with results seen in just a few weeks after treatment. a series of 6 separate appointments, not in the same session. KIDNEY DAMAGE, DISEASES OR PROBLEMS. LIVER DAMAGE, DISEASES OR PROBLEMS. One of the most popular cosmetic skin care treatments available is diamond microdermabrasion, a procedure that is praised by women and men alike. No chemicals or anesthesia are used in the procedure, which is known for being simple and pain-free. It's appropriate for most skin types because it is non-invasive, and can effectively reduce or eliminate wrinkles, acne, age spots, stretch marks, and more. procedures for exfoliating the top layer of dead skin, which is what causes the complexion to look cloudy, has been crystal microdermabrasion. For this procedure, the outermost layer of dead skin is abraded with a hand-held device, which emits a strong blast of aluminum oxide crystals on to the skin. It's important to note that lines and wrinkles in the mouth and eye area should not be treated with crystal microdermabrasion. This is because it's possible during a treatment for the tiny particles of crystal to get in the mouth or eyes, and these can be harmful to your health. But of course for many people, these areas in particular tend to accumulate the wrinkles and fine lines that we most want to eliminate. Fortunately, another option that doesn't carry this risk is diamond microdermabrasion. In this type of treatment, dead skin cells are exfoliated and vacuumed off the face with a microdermabrasion machine, that uses microdermabrasion tips covered in tiny diamonds. This procedure doesn't cause any particles to be emitted that can get in the eyes or mouth, and is regarded as an especially safe form of treatment. Not only that, this procedure is known to be most effective on deep acne scars or old stretch marks. 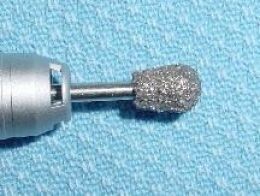 Besides, the diamond tips together with the strong suction make it possible to exfoliate the skin more thoroughly than other procedures. With the flexibility of using different suction levels, it also increases blood flow to the skin, and that in turn helps to produce collagen. If you're looking for fast, reliable treatment for skin issues like wrinkles, fine lines, acne scare, uneven skin tone, and stretch marks, you can consider getting this procedure. Microdermabrasion treatments are done in medical offices and spas by dermatologists or people who specialize in skin care. You will see immediate results after the microdermabrasion procedure, but to get the best effect, you will need as many as 6-9 treatments. When comparing the benefits of microdermabrasion with other types of skin exfoliation products, most women and men consider the outcome well worth the microdermabrasion cost. To achieve the best results with microdermabrasion, dermatologists and other skin care specialists recommend that daily skin care regime should be done on top of the treatment. Pre Pay 5 Treatments Get 1 Treatment FREE! We are a Full Service Salon & Spa of Immortal Health and Beauty located in Historical Captain Cook on the Big Island in beautiful Kona, Hawaii. Wrap and 5D Anti-aging Facial used by A-list Celebrities like Jennifer Aniston. quality of service and safety for both our clients and our staff. and quality of service for both our clients and our staff. Body Treatments and Facials with the exception of a bra. purchase disposable undergarments from us for a fee of $2.00 or we will refuse service.